Many of the elderly citizens of Italy still remember the American soldiers who marched into villages from over the mountains and handed out chocolate to the children. They will never forget life under Benito Mussolini’s fascist puppet regime and the German Nazi’s. A childs rhyme still plays through their minds, lamenting the days without bread and nights without light. 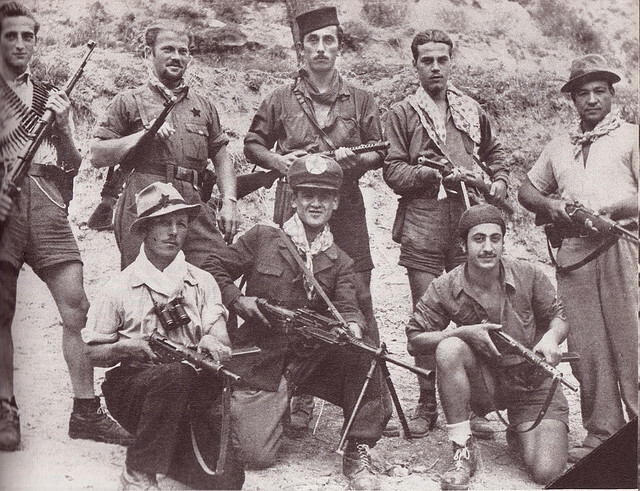 Liberation Day in Italy honors Italian resistance, those who fought the fascist regime, but also protests the tyranny and oppression throughout the world through speeches and political rallies. It is a national holiday celebrated all across Italy that marks the fall of Mussolini’s Italian social Republic and the end of the Nazi occupation in Italy in 1945, towards the end of the second World War. Mussolini was an Italian politician who led the National Fascist Party from 1922 to 1943, continuing to lead the Italian Social Republic in parts of Italy that were not occupied by Allied forces from 1943 to 1945. 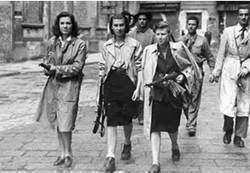 The Italian resistance was composed of independent soldiers who had once been members of Italy’s many political parties, along with more than 35,000 women. The resistance fought fiercely in every Italian city, but the biggest loss took place in the industrial city of Torino. Many of the workers in the factories, the center of Italy’s car making industry, and other establishments around the city refused to comply with the German military forces. As a result, 7,000 workers perished under harsh labor conditions or in gas chambers after being shipped off to concentration camps. Italy won their independence and have remained a democratic republic since 1946. Today, Rome’s president will make his annual visit to the Ardeatine Caves mausoleum, where 335 Romans were killed by Nazis in 1944. 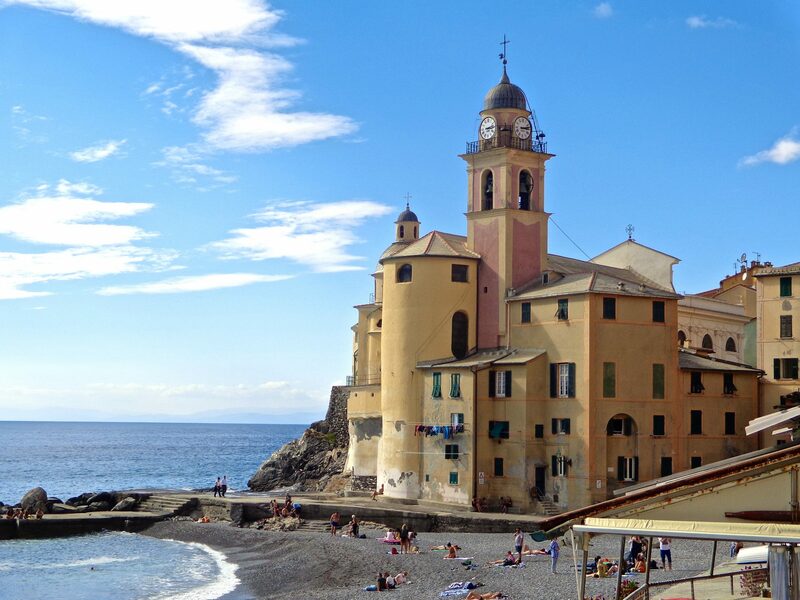 Festivities will take place in every Italian city. 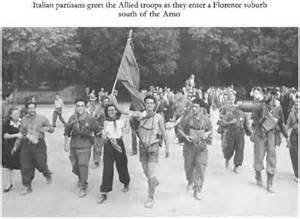 Bands and parades in almost every town will be playing “Bella Ciao,” the anthem of the Italian resistance movement during World War II, often sung by the left-wing antifascist rebels who fought against the atrocities of the Nazis and the leader of Italy, Benito Mussolini. Today, the lyrics are symbolic of the sacrifices made for freedom. This is moving – thank you for the article and the link to Bella Ciao! Wonderful reminder of history. It’s interesting how Italy’s Liberation day falls on the same day we celebrate the spirit of the ANZACs, which commemorates Australian soldiers fighting in Gallipoli and Fromelles in World War One and is a national day to pay respects to our fallen soldiers. Thank you! Yes, someone else mentioned the same thing about the days of the two celebrations being the same. It is interesting….Glad you enjoyed it. It always intrigued me that our Anzac Day also falls on the 25th April. This commemorates the disastrous WWI landing of Australian and New Zealand troops at Gallipoli in 1915. Very interesting. I didn’t know this. Thanks for sharing. You are a wealth of information! Susan, it’s lovely to see your post and the old photos. This time in history is still so close to so many. In our little town of Montone (north of Perugia), the stories are wrapped inside their hearts and souls, and they will never forget. It was quite a celebration on Friday. I do have one comment on your story…Mussolini was not just “a politician who led the party”; he actually formed the Fascist Party and declared himself The Dictator (Il Duce) in 1925. His Black Shirts (armed squads) terrorized his opponents, and he went on to dismantle every democratic institution thereafter. He was a brutal dictator and his state control nearly strangled Italy and most Italians, so it’s no wonder the Partisans fought so hard to get rid of him and why they were/are so proud of their actions and liberation. Thank you for your comment. I agree, Mussolini was a terrible dictator. My eyes just filled with tears when I wrote this. To see the people stand up against such a torrent of despair and fight for their freedom is very sobering. They have much to be proud of! Thank you for your comment Nicolo. I am sure your father’s family had many stories from that time to tell. Sobering, yet to really know freedom is to experience life without it. What an informative post! Thank you! My favorite pic is of the women with their weapons! Gosh! I would not want to mess with them! Nor would I, Diana. They look like they mean business, don’t they? Just think, many have probably lost husbands or boyfriends, and they are furious! Thanks for the comment. 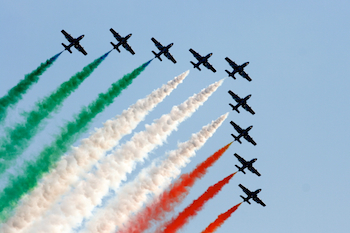 Thank you for liking my post, Liberation Day April 25th la Festa della Liberazione. It is an exciting day for all of Italy. Freedom brings peace.